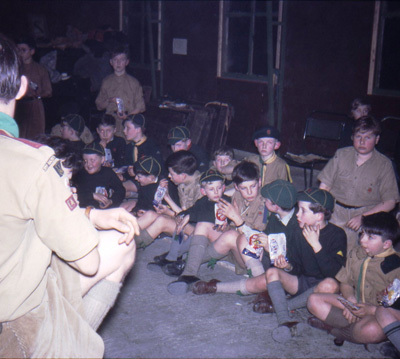 This page shows some on the first meetings and activities that took place at 3rd Hazel Grove. 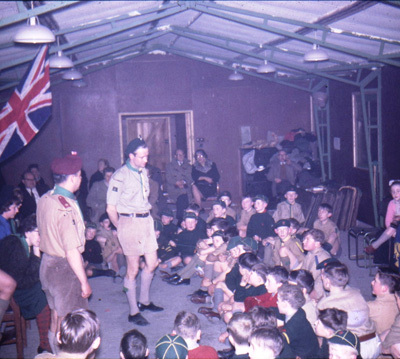 Even in 1960 the 3hg was fundraising. This is the Christmas Fair at The Civic Hall. 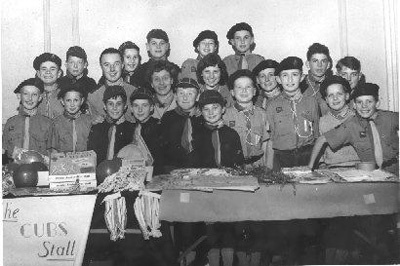 Our first Akela, Beryl Hodgeson is pictured, (centre left). 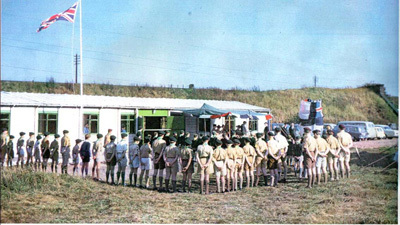 Opening the new hut on 4th October 1964. Present are Hubert Blower (Field Commissioner), Cyril Yates (District Commissioner) and Dr James (Chairman of Local U.D.C.). 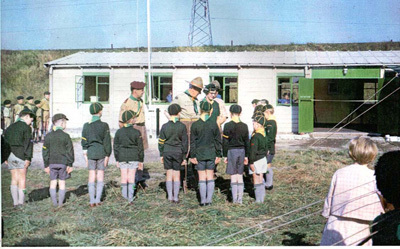 Wilf Connor (Chairman of The Parents Association) handed over the building to Brian Tapp (Group Scout Master) and Frank Cherry (Assistant Senior Scout Master) and then G.E. Green (County Commissioner) officially opened the building. The Cubs on the opening day, 4th October 1964. Brian Tapp (Blue Beret, GSM) and Frank Cherry (Maroon Beret, ASSL) talk to the boys with the parents in the background, after the opening ceremony. Party food to celebrate the official opening of the new hut. 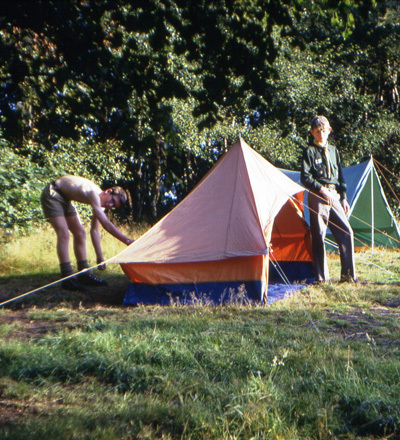 Paul Thomas (Left), camping at Sandiway in 1968.